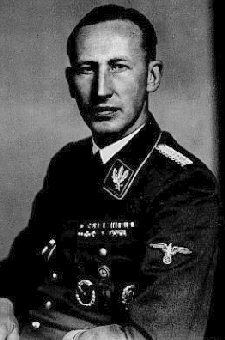 DESCRIPTION: The ring was never official, but among the effects of Reinhard Heydrich was an Entwurf, or original design, for this item found among planned articles dated 1942. 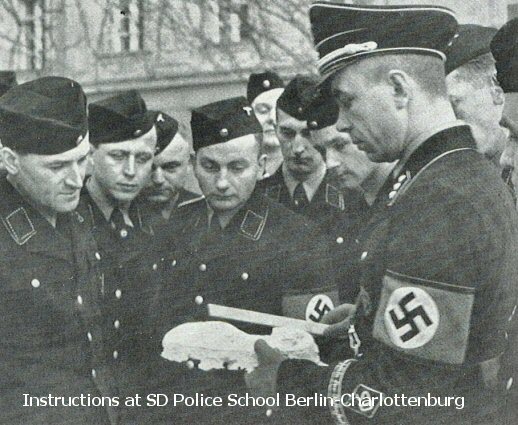 Here is an original ring of the SS-SD (Shutzstaffel-Sicherheitdienst). 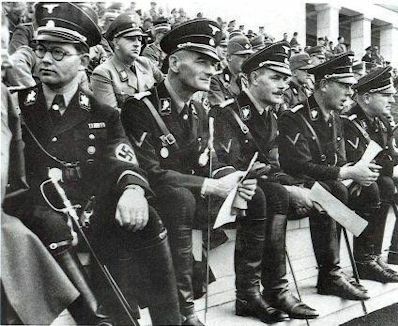 This was the organization so dreaded by the enemies of the Reich. Its members were the real professionals of the security services. 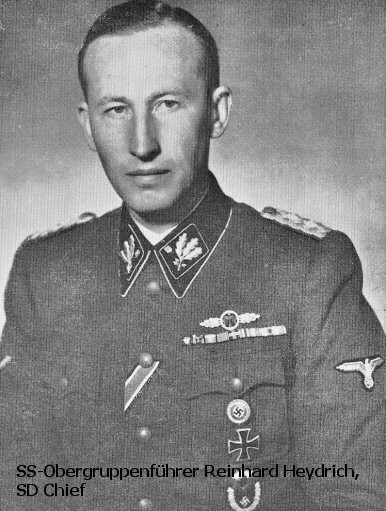 The ring was never really official, but among the effects of Reinhard Heydrich were the design of the SS – SD ring and they were removed from his office in Prague by the SD staff. 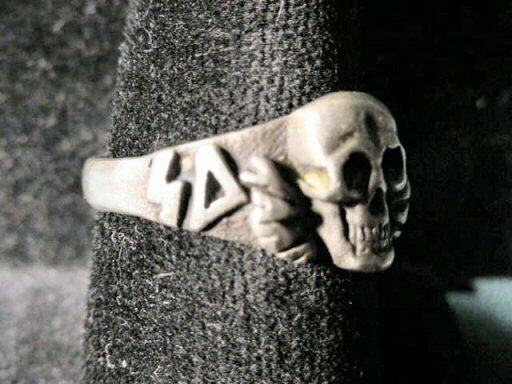 There was a picture of this ring among planned articles dated 1942, the year he was murdered by British-sponsored Czechoslovakian partisans. 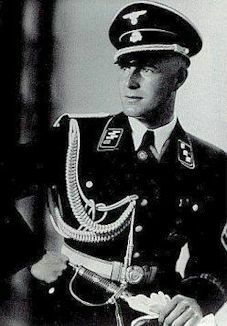 SS leader SS-Obergruppenführer Karl Hermann Frank took over after the murder of his chief and the drawing was found in his portfolio at the Cerninsky Palace in Praha (Prague). If you go to our home page and look at “About Our Rings” you will see the explanation of how we obtained many of these rings. Up until that point I had never seen an authentic SS-SD ring. I had seen copies that were so bad that they were practically obscene, but I knew somehow that someone, somewhere must have a real one because what were the copies made from? Was it just a fantasy? Yet we knew of that drawing and now that we bought the great group, lo and behold, here was the genuine article. So here in wonderful detailed excellence is the extremely elusive SS-SD ring. The detailing is exquisite with deep-set eye sockets and high-relief insignia stamped inside with the ‘835’ silver designation. 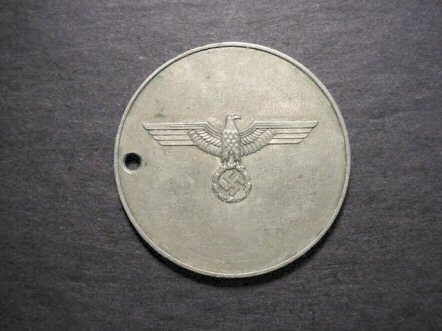 This is a very dramatic-looking piece of genuine Third Reich jewelry that will be the pride of any good WW II collection. 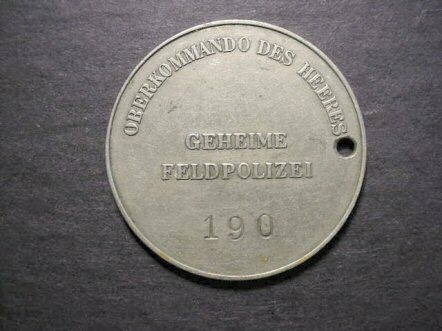 DESCRIPTION: This is a 100-percent genuine disc of the Geheime Feldpolizei, Germany's plain-clothed military police formed in July 1939 by order of the Generaloberst Wilhelm Keitel (see Osprey book #213 German Military Police Units 1939-1945). These officers had many duties that included counterespionage, countersaboage, detection of treasonable activities, and counterpropaganda. They also assisted the army legal system in investigations for courts-martial. 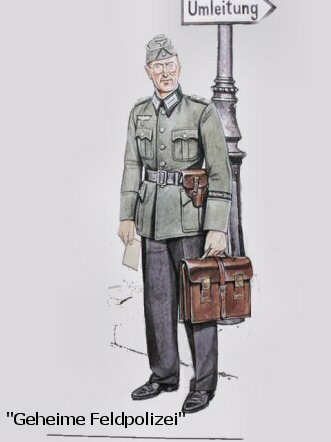 At times, circumstances allowing or required, they wore uniforms. There has been much hullabaloo about German police discs lately, but all that notwithstanding here is a genuine die-struck piece that can stand any test administered to it. This disc is said to be exceptionally rare in the aforementioned book, and it surely is. About 1 3/4" diameter. 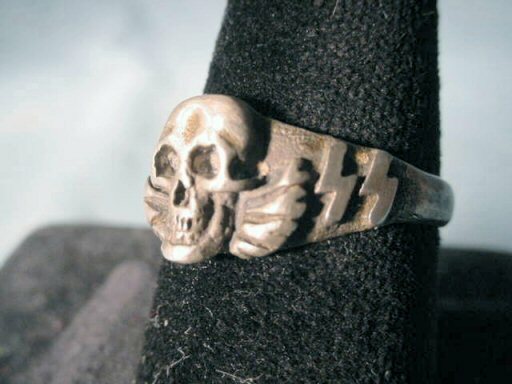 DESCRIPTION: This is the most beautiful ring of the Third Reich. It is fully enameled. 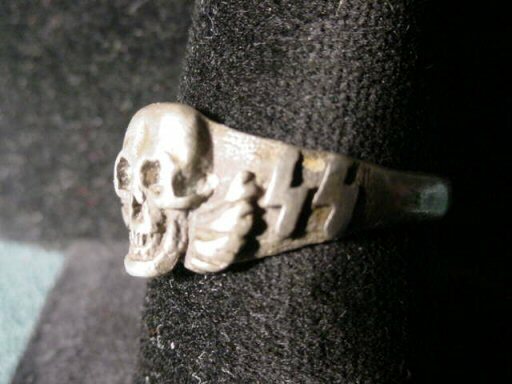 These rings were crafted for the Waffen-, army, navy, and air force and were never officially issued, although battlefield pickups were actually noted. 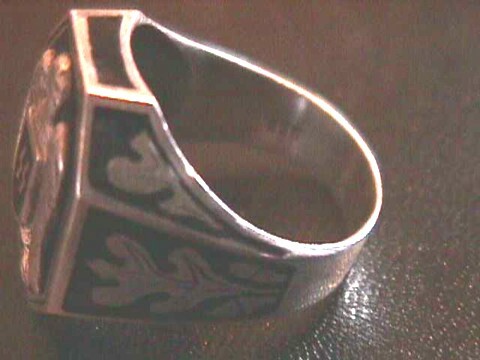 The rings were designed basically the same, but for the central design, which would be different as to branch of service. There was a special one for the -Leibstandarte Adolf Hitler (LAH). 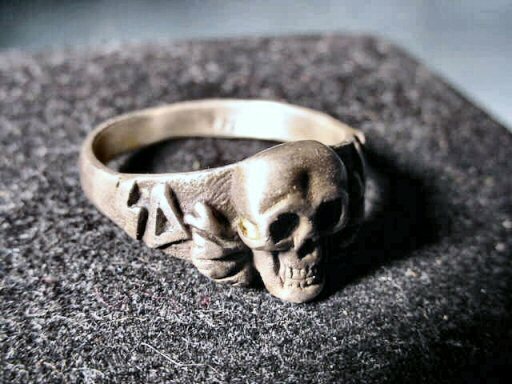 The rings were mostly found in April 1997 at the Stuttgart Military Show. 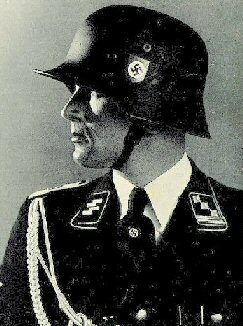 There were hundreds of Third Reich pieces among thousands of pieces that included costume jewelry, religious jewelry, etc. We haggled over this for more than 2 hours and finally a deal was struck. Many of the items were prototypes and these Victory Rings were in that category, but there must have been a few released because we had seen at least two over the years before this cache was bought. We turned over all the non-Third Reich items to the antique dealer and this sufficiently helped to pay off the Third Reich items that we wanted. There were wedding rings of the , but civil examples, as well. There were also cameo brooches, religious crucifixes, etc. 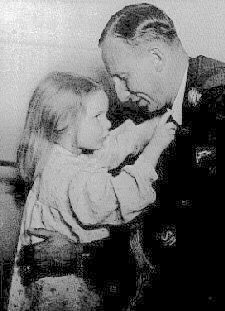 The great thing about it was that these companies were contracted to produce, repair, and design jewelry for famous personages such as Himmler, Goring, Gaulieter Wagner, etc., and there were some fantastic items recovered and purchased by me and two German dealers. 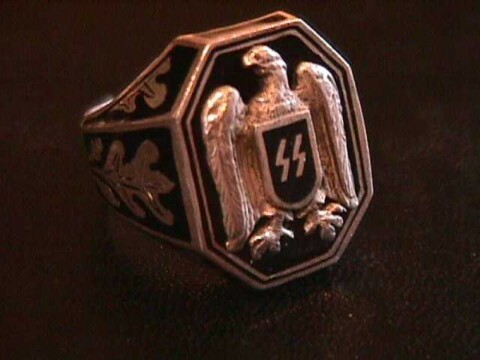 Of all the Third-Reich rings that were acquired the victory rings are by far the most beautiful and stunning. 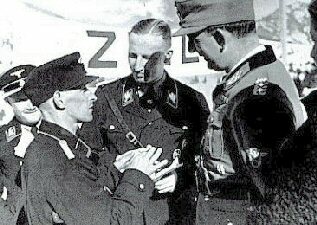 They would have been issued to generals, field marshals, and Knights-Cross winners had the war ended in victory for the Reich. 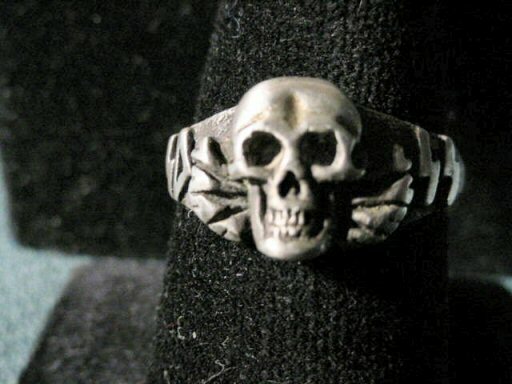 This particular one is an victory ring most probably the finest of all of them. It is marked '835' inside. It's in fine condition. 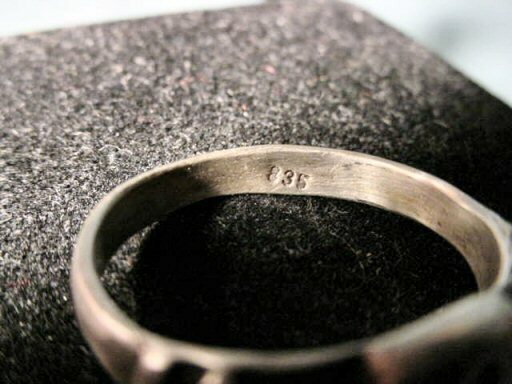 These rings will be considered the most rare and sought-after pieces of Third-Reich memorabilia. They are at this point in time available to the entrepreneur or collector, but severely limited in number. This is the chance to purchase one of the finest and most beautiful of all Reich relics.